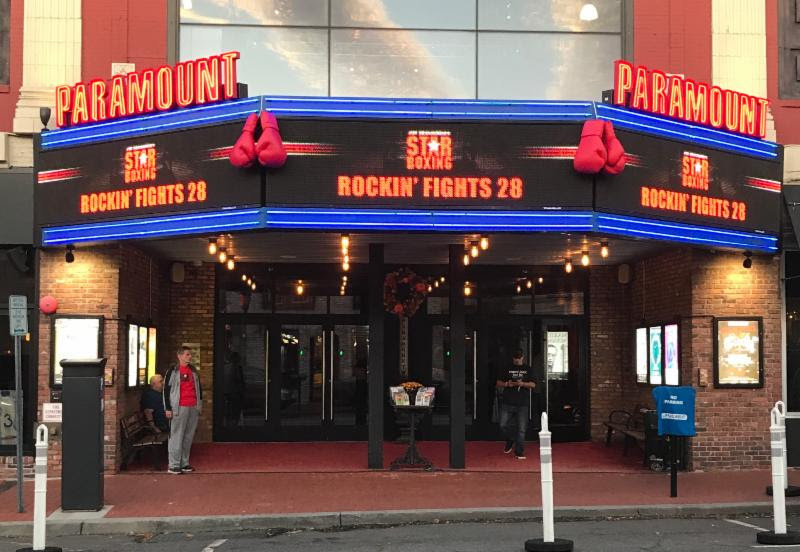 Last night at the Paramount in Huntington, NY, Cletus “The Hebrew Hammer” Seldin and Renald “Le Lion” Garrido thrilled a large enthusiastic crowd as they waged a vicious war over 10 rounds in a Jr. Welterweight matchup. Seldin was returning after a 16 month layoff and picked no easy mark in the iron chinned Garrido as his opponent. From the opening bell to the closing bell the two warriors charged at each other unleashing punches in a non-stop fashion often bringing the big crowd to their feet in appreciation. As the bell rang for the 10th and final round, the two gladiators touched gloves in the middle of the ring and went at it tooth and nail finishing with a wild exchange over the last 10 seconds. In the end, it was Seldin who had his hand raised after the ferocious battle by scores of 98-92 on all 3 judge’s scorecards. Seldin improves to 20-0 16KO’s while the rough and tough Garrido drops to 19-16-2 3KO’s. The night was a great boxing night in spite of unusual and unexpected issues which plagued the undercard giving it a Murphy’s Law scenario. First the scheduled semi-final 8 round bout between undefeated prospect Danny Gonzalezand Deonte Wilson had to be scratched two days before the fight because Gonzalez contracted chicken pox like symptoms which broke out all over his face and is highly contagious. Gonzalez will be out of action for at least 3 weeks. Then, in the dressing room, prior to the anticipated match between fellow New York Jr. Middleweight’s Courtney Pennington and Steven Martinez, during his pre-fight physical, Pennington revealed to the attending physician he took an Advil that morning which is prohibited under the current policies of the New York State Athletic Commission (NYSAC), and as such, the bout was cancelled by the NYSAC. Nonetheless the show went on and the fans were treated to the remaining exciting undercard bouts in addition to the main event. Making his Paramount debut, East Hartford Jr. Welterweight prospect Anthony Laureano took on the wily veteran journeyman James Lester in a bout scheduled for 6 rounds, Laureano has already developed a reputation in young career as an all action fighter and he didn’t disappoint the Paramount crowd. Laureano battered Lester all over the ring including a knockdown in the 4th round. Lester to his credit never stopped trying but was unable to come out for the 5th round giving Laureano his 5th win and 3rd by KO. Lester drops to 11-14-1 4KO’s. 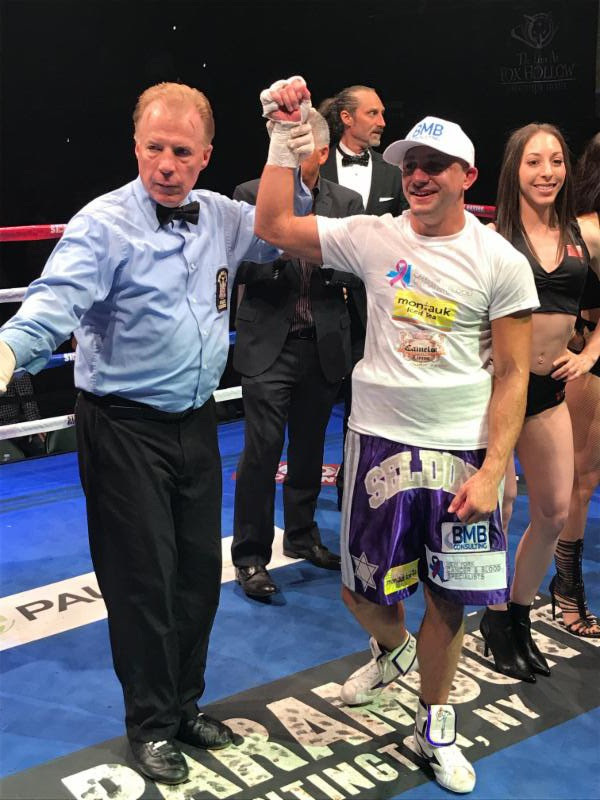 The opening bout saw Queens native Vincenzo D’Angelo improve to 3-0-1 as he took a close decision over pro debut Brandon Bey of the Bronx, in a 4 round Super Middleweight fight. The action was furious over the four rounds with each fighter dishing out punishment but in the end, it was D’Angelo who prevailed by scores of 40-36 and 39-37 twice. Promoter Joe DeGuardia had these comments after the fights “What a crazy night this was. Although our two 8 rounders were cancelled at the last minute, we had a fun and exciting night with a hotly contested and grueling main event. What a great, great fight Cletus and Garrido provided the fans, and I’m pleased the remaining fights were terrific also. I’d like to once again thank our legions of loyal fans who support these events. We will be announcing our next Paramount show in the very near future”. Many of Star Boxing’s other fighters were in attendance supporting Star Boxing and it’s stable, including Paramount favorites, World Contender and 2016 Fighter of the Year runner-up Joe Smith Jr., Tyrone James, Anthony Karperis and former heavyweight action fighter Vinny Maddalone. Rockin’ Fights are sponsored by Modell’s Sporting Goods, The Inn at Fox Hollow, Camelot Limo, Montauk Ice Tea, TiedIn Media, and WBAB. Didn’t have a chance to see #RockinFights live? Don’t worry. 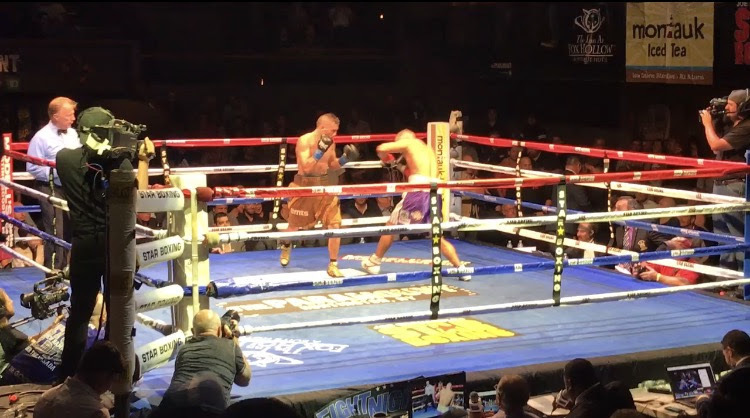 You can rewatch the main event battle between Cletus Seldin and Renaldo Garrido by clicking HERE. Watch the undercard bouts HERE. Photos and videos are available to download by visiting this link SELDIN V GARRIDO MEDIA ASSETS. Credit must be given to Star Boxing, Inc. for photos or videos used.